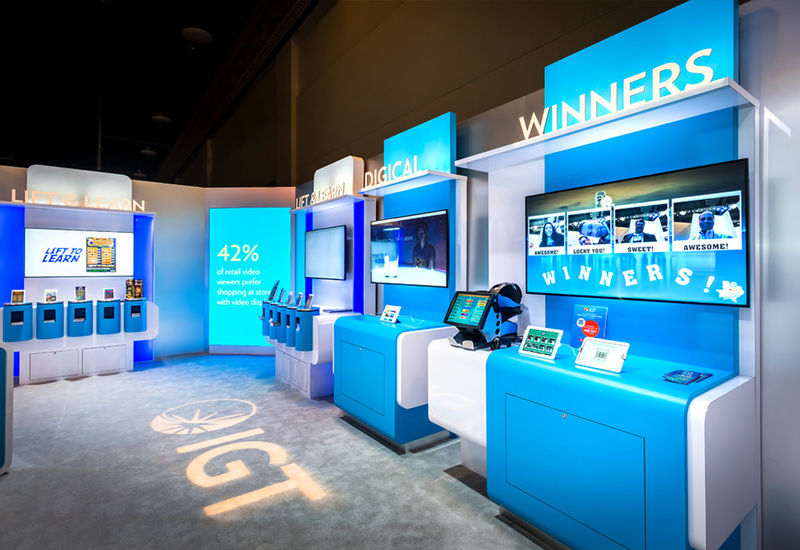 Our project management team worked closely with a production company out of Rhode Island to provide high-definition video screens for International Game Technology’s booth at the annual NASPL conference. 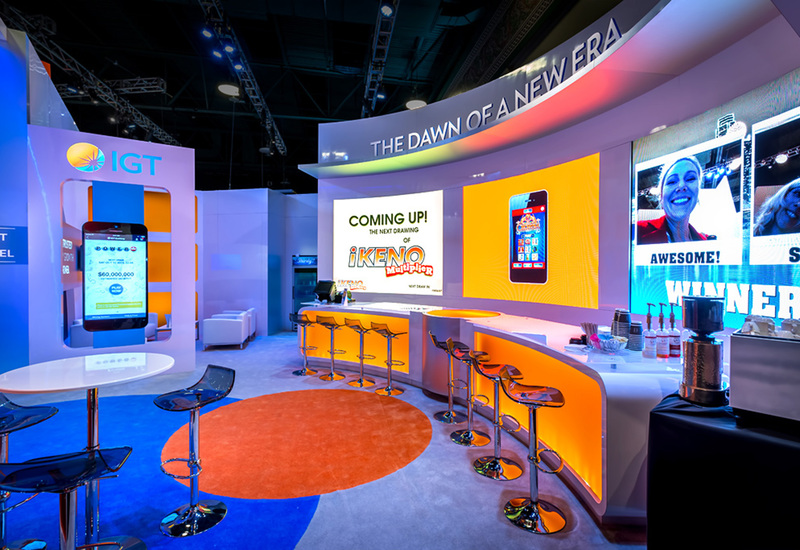 A branded environment specialist company was tasked to create an interactive environment that created an intentional flow to guide customers through the space, while showcasing current and future products. 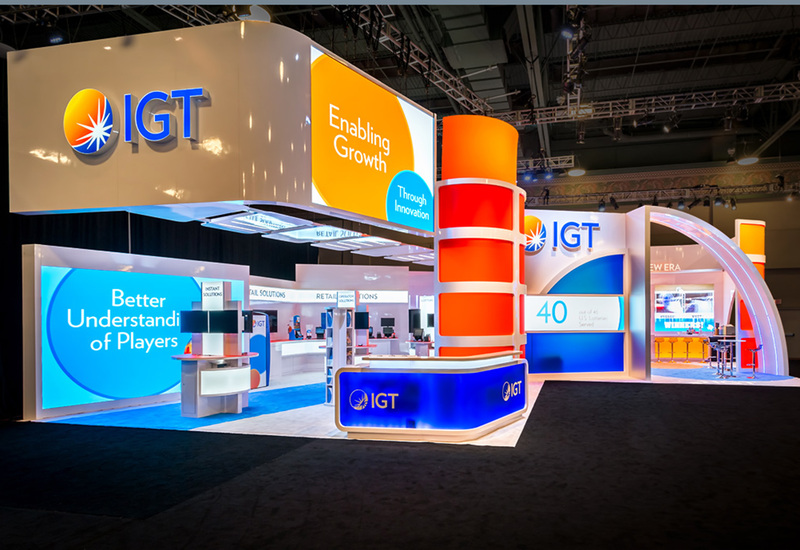 Upstage Video contributed to the effort with multiple screens comprised of 240 ROE Black Onyx 3mm LED tiles, placed strategically in the 55’ x 55’ L- shaped exhibit space.